You can have a delicious pack of any of our jerky flavors delivered right to your door to satisfy your cravings. 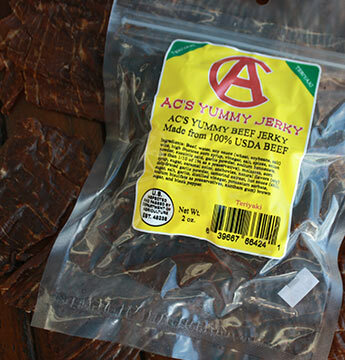 We offer single-flavor packs for $5.50 for a 2-ounce pack or $18.00 for half a pound of delectable jerky. But we also understand that sometimes one flavor just isn't enough, that's why our sampler carton allows you to try all of our flavors at once for just $35.99. Our jerky also makes a great gift for birthdays and holidays too! We have seasonal packages for holidays like Christmas or Father's Day. Check out our Valentine's Day gift basket, which allows you to pick any arrangement of flavors you want for only $42.00.